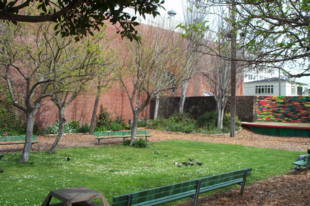 This mini-park in the historic Fillmore District contains a picnic area and a small stage area. 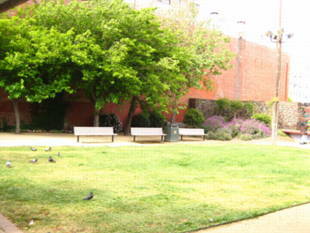 There are flower beds and a number of benches to rest at surrounding a small lawn area. 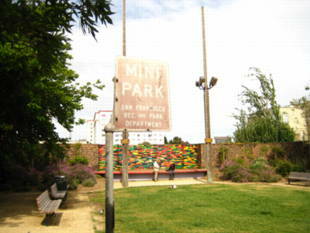 Fillmore-Turk Mini Park is owned by the San Francisco Recreation and Park Department. 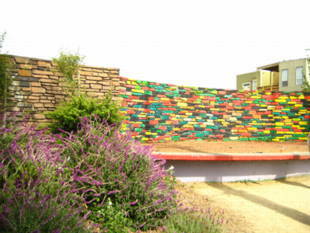 5-Fulton -- McAllister and Fillmore; walk north along Fillmore 1.5 blocks to the park. 22-Fillmore --Fillmore and Turk or Fillmore and Golden Gate. 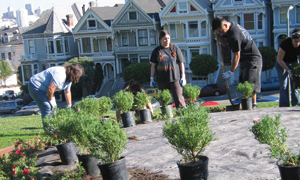 Recent Events: The Western Addition community, NPC and RPD planted 100 plants at Fillmore-Turk Mini Park on November 4th, 2007. This planting is part of a Community Challenge Grant revitalization of this mini park in the Western Addition lead by NPC and community members. Decomposed granite was also placed on the walkway and new benches will be installed in the coming weeks. Volunteer Schedule: Second Saturday of each month from 9:00 AM to 11:00. The workday will be postponed due to rain/inclement weather.